If you have long-term disability insurance, through your employer’s plan or an individual policy, you may apply for long-term disability benefits if an illness or injury prevents you from working. This coverage exists to provide income replacement to pay for day-to-day living expenses and medical treatments required for your recovery. Insurance providers for long-term disability (LTD) plans require claimants to give notice of their condition within a prescribed time after they become disabled, and they also have a deadline for submitting an application containing proof that you are unable to work. The application requires a claimant to provide medical evidence of their condition, such as physician’s reports, medical tests, and so on. Most importantly, the opinions and diagnosis provided by your physician(s) must include details on how your disability prevents you from doing the required duties of your job. If you become injured or ill and believe that your condition may prevent you from working for an extended time, promptly check the details of your LTD plan (and/or speak to your LTD insurance representative) to ascertain the required timelines for notifying your insurer of your disability and for submitting your proof of disability. A failure to meet these deadlines is one of the most common grounds for insurers to deny LTD benefits. Although there are circumstances where a person may be eligible for LTD after the prescribed timelines, this complicates the process and generally requires the help of a personal injury lawyer who can present strong legal arguments on your behalf. A key reason why insurers need timely notice that you have a disability that impacts your ability to work relates to a legal requirement specified in most long-term disability plans. Within the first two years of being disabled, a claimant has to show that they cannot perform the duties of their own job in order to be eligible for LTD coverage; but after two years, a claimant needs to provide evidence that they are unable to perform the duties of any occupation for which they are qualified, by reason of education, training and experience. These requirements mean that LTD insurance providers need to be aware early on that a person is disabled so that they have an opportunity to properly assess a claimant’s eligibility within those first two years. Accordingly, if you don’t apply for long-term disability coverage until years after you allege to have become disabled, a court may find that your insurance company was disadvantaged or ‘prejudiced’ because it becomes difficult for them to assess your level of disability during a period that is now long past. In a 2016 case, Ortiz v. Great-West Life Insurance, an Ontario court found that a man who applied for LTD benefits past the limitation period had not taken reasonably diligent steps to discover the correct insurance company for his claim before the presumptive limitation period had expired. The case concerned a man who became injured in a slip and fall accident and as a result, stopped working for an extended period. 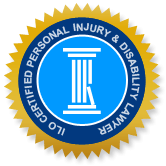 Unfortunately, the man did not make a Notice of Claim for long-term disability benefits to Great-West Life Insurance Co. (GWL) until more than three years after he was hurt. What further complicated the situation in Ortiz, is the fact that GWL was not the group disability insurer for the plaintiff’s place of work at the time he was injured (although they were the group insurer when he submitted his Notice). Rather, the insurer at risk at the time of his slip and fall accident was Manufacturers Life Insurance Company (Manulife), but Manulife was not informed of his claim until over 5 years following his accident. The judge dismissed the plaintiff’s motion to add Manulife to the claim past the deadline and noted that the plaintiff was provided information, such as a benefits booklet, at the time of his accident that clearly indicated that Manulife was the group insurer. GWL had already denied the man’s LTD claim prior to this action, on the grounds that he provided insufficient information. The judge asserted that it is even less likely that there would be enough in the GWL file to allow Manulife to assess the man’s disability status at the time he may have qualified for LTD benefits, which means that it would cause prejudice to Manulife if his application was allowed at this late stage, as Manulife would be unable to properly assess whether he qualified for LTD benefits in the first two years of his disability. If your LTD application has been denied for any reason, or your benefits were unfairly terminated, call an experienced disability benefits lawyer in the Injury Lawyers of Ontario group, to ensure that you have someone on your side with the knowledge and expertise to help you get the benefits you are owed.